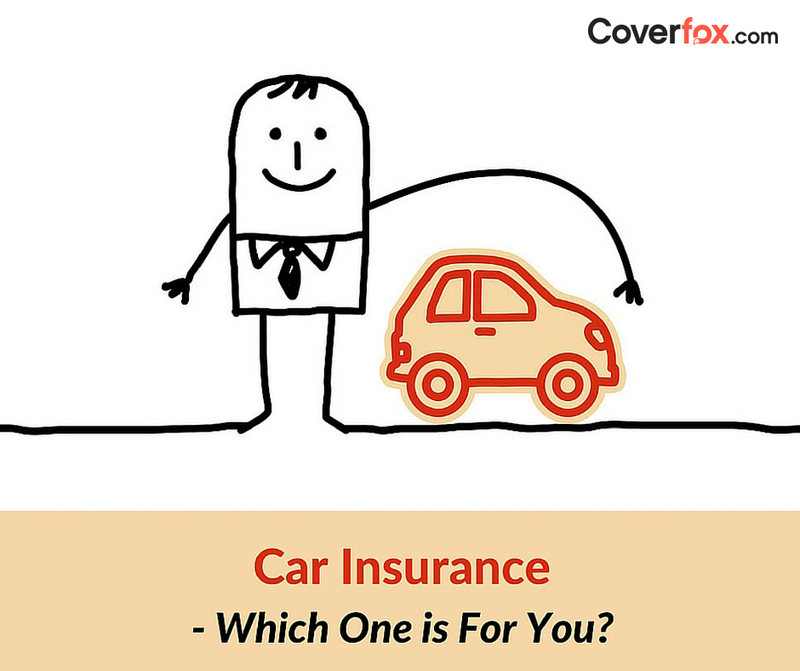 Which is the best car insurance cover for you? Buying a car insurance can be quite a puzzling task by itself, unless you are adept at choosing the right cover for your car. 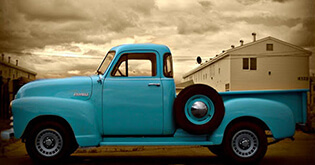 If your car is under five years, rest assured, you will be one of the favorite of car insurance companies. When you need to choose the cover for your car, it is always wise to check online for various options and compare the same before buying one. With the online boom, sure enough, you will be spoilt for choices. This is a must for driving on the roads of India. It usually covers damage to property, accidental death and injury to a third party. Not having a valid Third Party Liability insurance, you could get into some serious trouble, in case of any unforeseen accident. People who own old cars generally opt for this coverage speculating nil claims. However, it’s always advised to go for a more comprehensive policy to cover your own car, too. This usually is a preferred policy as it covers both, one's 'own damage' and legal liability of third party. It also covers theft or damage caused by unpredicted threats like cyclone, accidents, earthquake, fire, explosion, floods, burglary and theft, etc. However, the policy cannot be claimed for depreciation, wear and tear, mechanical or electrical breakdown, consequential loss, failures or breakages. It comes at an added premium but totally worth for. What influences your vehicle insurance premium? Your car’s premium majorly depends on the IDV of your car at the time of policy purchase. Normally, the car value depreciates 5-10% every year and hence, the older your car gets, the IDV will depreciate resulting in direct effect on the premium. This varies according to your area of RTO registration. 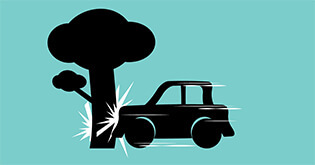 Those living in city premises, close to highways or places that are highly inhabited would have higher chances of accidents and hence would invite greater premium. Similarly, if you live in one of those areas where frequent incidents of burglary and theft are reported, your premiums would accelerate. The features like model and variant of your car, the fuel type, its cubic capacity (cc), etc. have major influence while calculating the insurance premium. So, if you own a swanky SUV, be ready to shell out a higher premium compared to your neighbour who owns a smaller car. Likewise, a diesel variant would have around 10-15% higher premium compared to a petrol one. Not many are aware that they are rewarded for every claim free year in the form of No Claim Bonus (NCB). It can range from 20% up to a maximum of 50% over a 6 year span. There’s still a better reason to retain the NCB. It’s a feature you can retain and transfer to the insurance cover of your new car in case you decide to sell the current one. Hence, it’s advised to be safe and cautious while driving for reasons beyond the safety of your own self and those travelling with you. 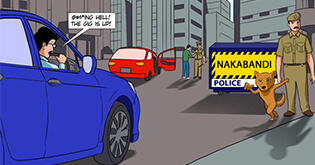 If you have one of those cars that have Automotive Research Association of India (ARAI) approved security features (such as anti-theft alarms, immobilizers and such similar gadgets), you stand to get a 2.5% discount on your car. If you are open to settling minor claims for smaller damages on your own, your premium price will be reduced substantially. This is directly linked to the NCB you earn for each claim-free year. Although this is not really preferable, it cannot be ignored how much difference it actually makes to the final premium amount. The more one opts for the voluntary contribution, the lower the premiums are. However, if you plan to opt for this, make sure you are in a position to absorb a certain part of the claim, when required. This is an add-on cover under the Comprehensive Plan. With this cover, you will have to pay a small amount as compulsory deductible, in case your car meets with an accident while the rest will be paid by your insurance firm. For example, a car exceeding the cubic capacity of 1500 meets with an accident, resulting in the damage of bumper that would cost approx. Rs 25000. If the insured has opted for Depreciation Cover, all he has to pay is Rs.2000 as compulsory deductible, the rest will be taken care by the insurance company as per their policy terms. This feature covers your back in case your laptop or any other valuables get stolen from your locked car. Depending upon the insurance company and the terms of the policy, you can get reimbursed up to Rs 50000. 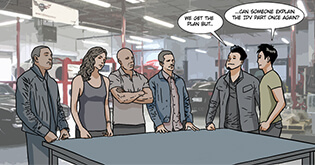 As engine is the heart of the car, you could suffer a huge loss if it needs repair. This is especially true for areas that are prone to heavy rainfall and flooding. If one accidently tries to ignite the engine while the car is submerged in water, the engine could get severely damaged and the normal comprehensive policy does not cover such repairs. However, the same will be covered if one has opted for Engine Protector Cover. It is always a good idea to renew the car insurance policy before it expires. Failing to do so might result in the inspection of your car before the insurance company decides to re-issue a new policy. It would also possibly result in losing benefits like discounts or NCB. However, it’s entirely at the discretion of the insurance company depending upon their policies to deal with such cases. Some people prefer to decrease the Insured Declared Value of their car in a bid to attract lower premiums. It is advisable not to do so as it might affect the claimable value of your car in case it meets with an accident or otherwise. It is best to opt for a policy that provides the correct IDV even if it means shelling out a bit more. 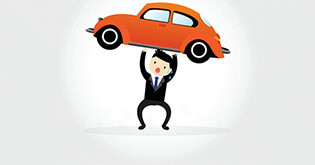 Many among us are unaware of the nitty-gritties of dealing with the car insurance. When it comes to choosing the right cover for your car, it’s always better to seek expert opinion and guidance to ensure the seamless transaction. Coverfox understands this and offers solutions that are apt for your requirements. Just call us and we will ensure that your experience while buying car insurance is as pleasurable as possible. Right from being a Flight Attendant to a Banker and now to a Content Writer, she has tasted success in all the fields. The kinda girl who loves pets and knows how to manage difficult people and events. What to Do When Your Motor Insurance Policy is Lapsed? Does It Make Sense to Increase Your Car's IDV? Is Everything Covered Under Bumper to Bumper Policy?